We're all very excited at Groove. 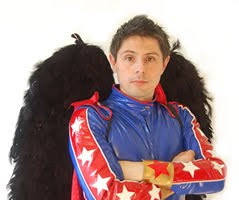 Next Wednesday 26 October is the launch of this year's line up for WOMAD 2012 in Taranaki and Groove's very own CoffeeBar Kid will be there to bring you the news on his show: The Adventures of the CoffeeBar Kid on 27 October from 7.30! Also coming up is the Big Day Out! We have interviews and other goodies in the pipeline for this one too.... more to come on that soon! You've asked for it many times and after sooo long, we're finally streaming online. 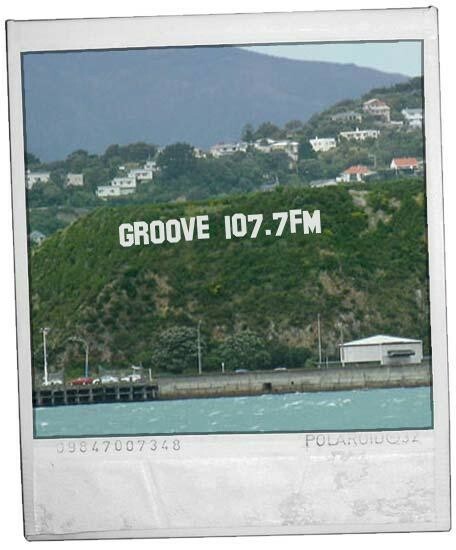 Just click the button on the wee player above to enjoy Groove 107.7FM live in all it's Glorious Stereo Retro Digital High Fidelity. You can also 'tune in' on your I-Phone, I-Pad, Blackberry or Android phone via the Tunein radio app available for free download! 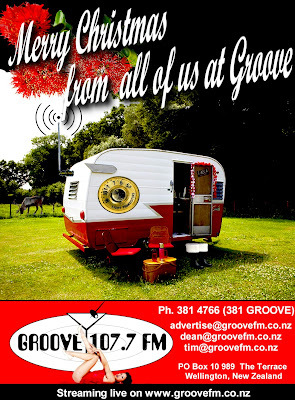 Make sure you tell anyone you know who's moved out of town or doesn't quite have Groove reception and would love to listen "They can now listen to New Zealand's only Cafe Style Radio station on this very page (http://grooveradio.blogspot.com/)"
I'm pleased to say that within 12 hours of our stream going live, Dan from IT Services and learning was on the phone offering to sponsor the stream, enabling us to keep running it at great audio quality and 24 hours a day! 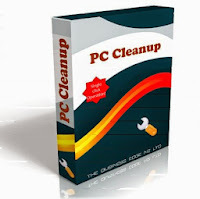 Make sure you call them to fix any IT issues you have on 021-026 028 23 or go to http://www.itrepair.co.nz/. Use the buttons below to tell your networks about the stream or with the 'Share on Facebook' button on the bottom right of this post. This wek we have two fantastic interviews. One with West Coast singer Songwriter Mel Parsons and the other with Carolina Moon, Auckland based jazz singer and virtuoso. Also, arather saucy review of Nicholson Barker's 'House of Holes'. We've had some fantastic dance performances and which built up to the start of the England vs Romania Rugby World Cup match shown live on the big screen at 6pm followed by the big one (for us Kiwi's), NZ vs France live at 8.30. 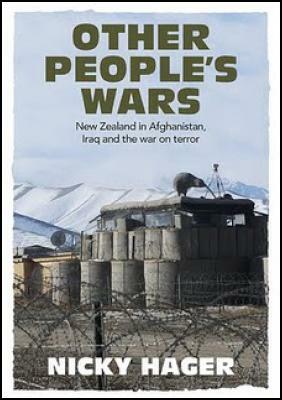 That's right we have Nicky Hager on the show, Author of OtherPeoples wars - a comprehensive look at the New Zealand Defence Force's involvement in Iraq and Afghanistan. Nicky takes us through the salent points and demysities some of the military jargon. Far from being the major conspiracy the mainstream medi have hinted at, this is a great red for anyone who wants an independent view on what's hapenin over there. Groove 107.7FM is finally streaming online in glorious retro digital hi-fidelity stereo. Just click play on the transistor radio on the right, above. You can also listen on your I-Phone, I-Pad, Android phone or Blackberry via the free 'Tune in radio' App. Please email (or post on Facebook) anyone you think might want to tune in. Fighting the good fight for lovers of Wellington cafe style radio and local music for over 10 years. 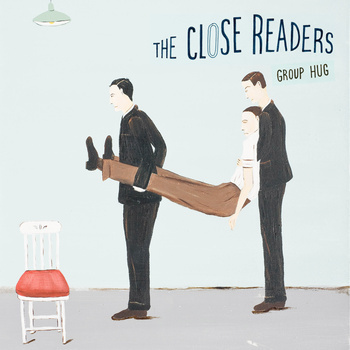 Tonite we feature new music from Caro Emerald and a Detective Novel. 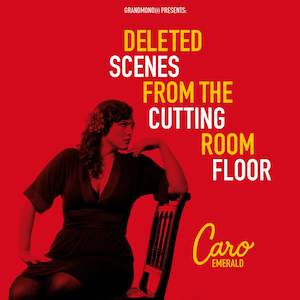 Dutch Pop Jazz Chantuese Caro Emerald features on tonite's show. This is her debut album. It set an all time chart record on 20 August 2010 by spending its 30th week at number one on the Dutch album chart, beating the previous record set by Michael Jackson's Thriller by one week. 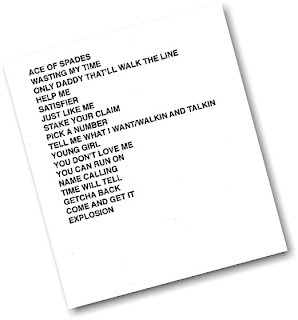 The album has become the biggest selling album of 2010 in the Netherlands, selling over 270,000 copies so far. On 3 October 2010, Van der Leeuw was awarded the Dutch Music Prize "Edison" for Best Female Artist. Tune in to the ADVENTURES OF THE COFFEEBAR KIND 7.30 PM TONITE! The Groove petrol price Guru predicts petrol about to go down! As the output of our exclusive Groovamatic petrol price forecaster shows, at 22/6/11 (today) our Guru predicted that the price is about to go down to approximately NZ$1.99! In reality, as of today it should be at $1.95 but we can't quite see them going that far. How does the Groove petrol Guru know? Using a secret formula based on wholesale barrel price, US$ exchange rate and 'normal' petrol company margin. The pink line is the actual price at the pump in Wellington over the last few months. The purple line is what you could expect the price to be on the day based on the factors mentioned above. Another friendly community service from Groove 107.7FM. It was a Big Night on the Adventures of the CoffeeBar Kid - on Thursday. Oh, yeah. It's a big night we have interviews from Bob Cranshaw, Bassist with Sonny Rollins (who plays the Michael Fowler Centre this Saturday nite!). Sonny Rollins is the original saxophone colossus, a name he earned playing alongside jazz greats Charlie Parker, Thelonius Monk and Miles Davis. Now 80, he is one of the great bebop saxophonists, and still has incredible form playing with the energy of a man half his age. His only New Zealand concert, this is a rare treat for jazz devotees to see one of the world’s finest musicians on stage. Finally a better use has been decided on for the sign! 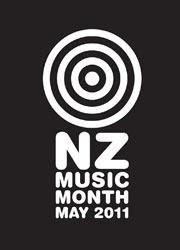 It's New Zealand Music Month ! Eli "Paperboy" Reid brings Soul to the Capital!!!! Man, this guy has energy. Like a tightly sprung bundle of hot soul energy he screeched, yowed and hotdiggity-danged his way through a two hour set of white boy and memphis R&B. Polyester, sansa-belts and lounge shirts never sounded so good. Backed by a four piece - drums, bass, rhythm and keys (Korgs and Rhodes), Reid brought the ghosts of James Brown, Isaac Hayes and Screamin' Jay Hawkins to the Bodega on a frosty autumn night. Despite the slightly undernourished crowd there was a lot of love in the room. Warmed up by our own blues legend Darren Watson, ever the professional, Reid burst on to the stage with sharpened quiff and voice fully loaded, despite this being the last of a multi-month tour. You wouldn't kn ow it. Reid seemed like a man posesssed. His delivery was sharp and professional, reading the audience and winding them up with southern style show banter - the very same that failed for BB King last week as it happens. Reid zipped through all the hits and misses from both albums before drawing out three encores, completing with his memorable screamer "Boom Boom". Reid's music was not familiar to most of the audience and that was clear. Yet, by the end of the night there were many looking longingly for cds to purchase. If you ask me, it was $50 well spent. Join us for the 350 Birdman competition tomorrow. P-Huny and I will be down at the main stage for the competition, tomorrow Sunday 23, 10am – 5pm at Taranaki St Wharf, Frank Kitts park and the waterfront (Monday 24 Jan if wet). You can enter online or on the day. See http://www.birdman.org/ for details on 3 stages of bands, Crafts market, information stalls, Kids rides and activities, Food court, Kids talent quest and Birdkidz as well as the Main Birdman competition (from 12). 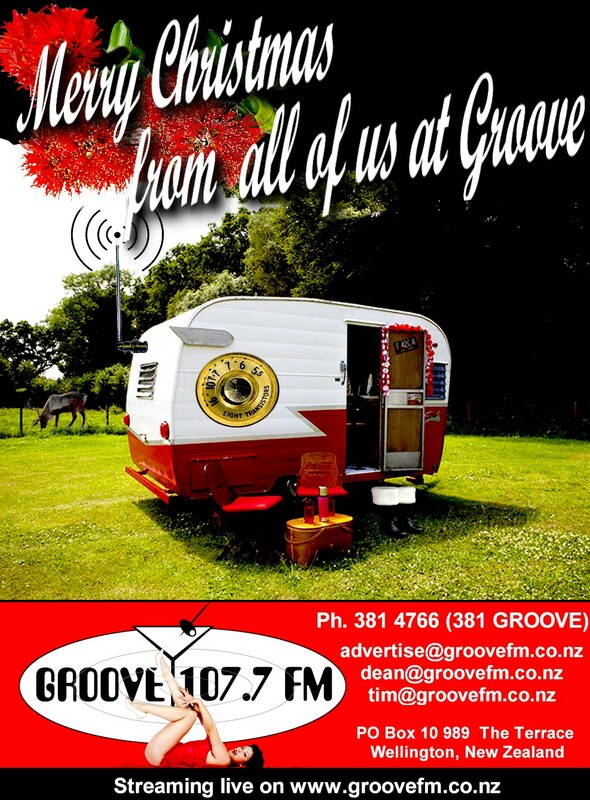 If the weather looks dodgy tomorrow, listen to Groove 107.7FM to find out if it's been postponed till Monday (or phone 384 1998 from 8am). Back and refreshed the CoffeeBar Kid is back and raring to go. This week we have blues/alt country artists Mercury Crow in the studio and with guitars in hand. Check out their new single "Kiss Me or Kill Me" sounding like early Stones or Black Crowes they are all swamp rock and down home blues. 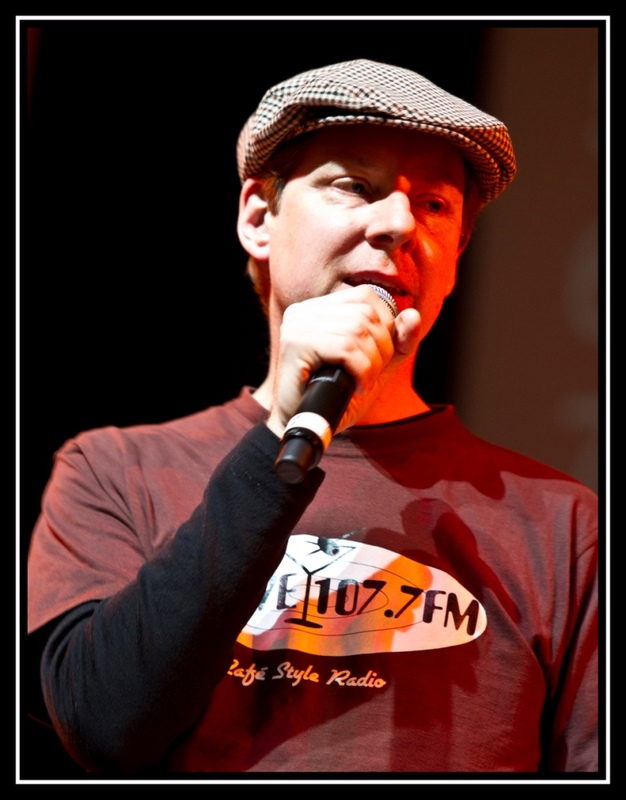 It is with great sadness that I announce the passing of Barry Lakeman, host of 'Blues with Barry' and other shows on Groove for around 8 years. Barry died of Cancer on the afternoon of Sunday the 9th of January. 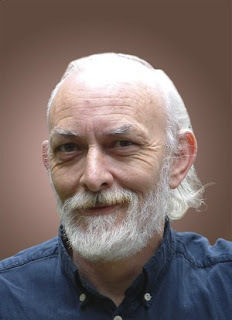 As well as a broadcaster on Groove and other stations previously, Barry was an R & B and Blues musician, Blues enthusiast, quiz writer, IT Project Manager, playwright, actor, friend, car rally organiser and navigator, train enthusiast, magazine maker, father, brother, husband, uncle, lover of life and questions and theatre, and much more. Thank you Barry so much for all you've given to Groove over the years; the talent, wit, musical knowledge, professionalism, humour, enthusiasm and dedication to the station. The longest standing member of the team apart from the Coffebar kid and myself. I always appreciated you manning the fort on-air when others of us were broadcasting down at the beach or at the Organic river festival etc. You are already sorely missed from Groove and will be dearly missed by me personally. A public memorial service was held at Downstage Theatre. In great Barry style it featured excerpts from his plays including the premiere of a short play he wrote in the last few months.